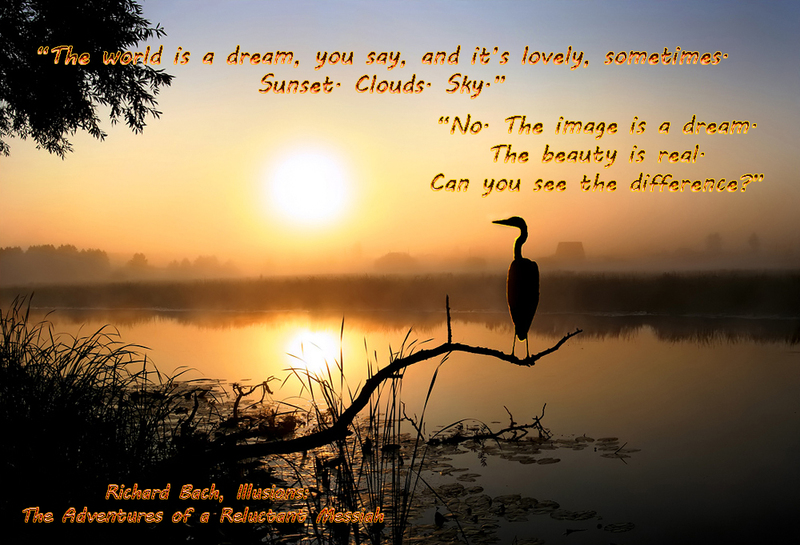 Richard Bach’s “Illusions” was given to me by my flight instructor when I was 18 years old. It contains a lot of interesting phrases that made me think. Freedom-orientated as I’ve been as long as I can think, the book hit a nerve with me and became a groundbreaking guide for a long time. Making my pilot license, flying, in love as I was as well in that moment – it became all one and drafted the path of my life. Waking up this morning I suddenly remembered the book, and this sentence popped up in my mind while I enjoyed the blue sky and the autumn colors having my coffee. Our path may change during our lifetime, the interaction between inside and outside sometimes make changes necessary, and our learning does the same. But some things don’t change, those basic things that have always been there, that we maybe forgot, but that ultimately define us as the unique beings that we are. And in a moment of silence they may come back to us like an echo from ourselves, and we may sit down and think: where did I depart, where did I want to go, and where did I actually arrive? Sometimes melancholic, sometimes happy, but certainly with a smile.